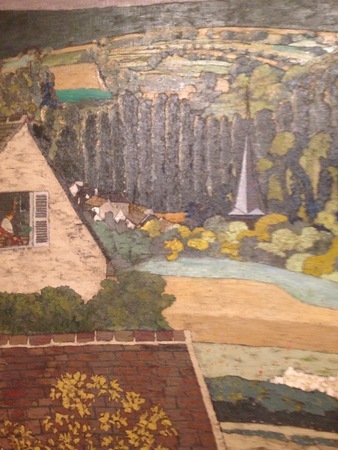 I was standing in our kitchen this afternoon, and the light from the garden was coming through the windows, garden light, unlike any other, and I started to think of painted gardens. How it is that sometimes the paint itself is even more beautiful than the real light. Yesterday and today the air is full of light, sixty-four degrees, sixty-seven degrees, days like April. The trees are rushing to throw off their silver February garb. Green shoots are already up in the garden, although next week it is to freeze. A friend of my friend’s has died. We are in different cities and cannot take a walk together. He wrote that it would be nice to go to a museum. 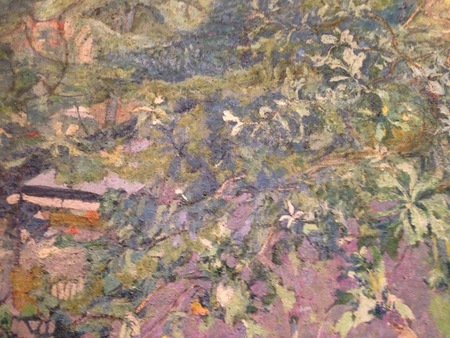 The last time we were in the same city – he was here, in Chicago – we went to the Art Institute, and looked at this and that, and what we were taken by was Vuillard. In one room, there are two beautiful earth-banners. 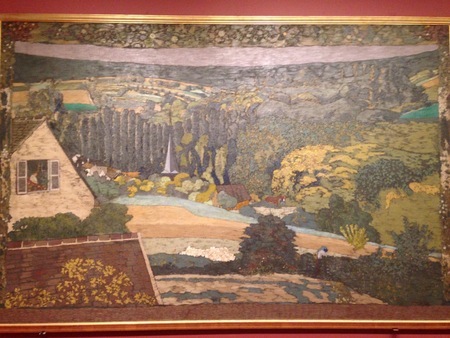 Landscape: Window Overlooking the Woods, 1899, is twelve feet long, eight feet high. 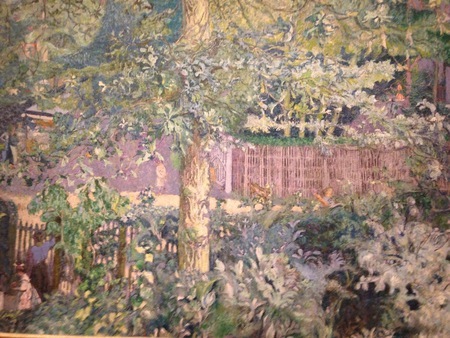 The other, Foliage—Oak Tree and Fruit Seller, 1918, is a little over nine feet across, some six feet high. You could go every day to look at them. I had just seen them for the first time a few days before my friend’s visit, so we could begin together. 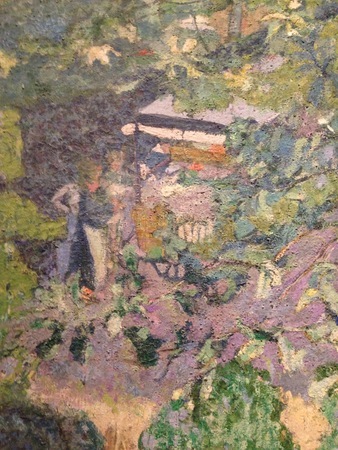 There is a woman on the left side, with a child, there, back in the leaves, that is the fruit seller. 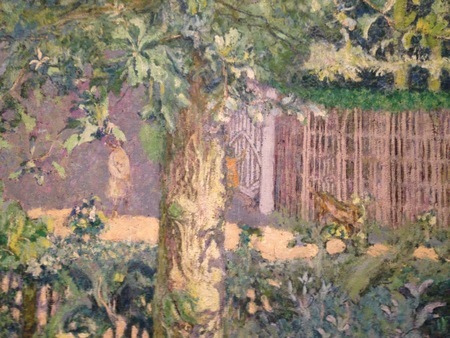 In making Foliage—Oak Tree and Fruit Seller, Vuillard used the medium of distemper, in which paint pigments are bound with melted glue. You have to paint quickly, it dries very fast. The wall text also points to the “closely ranged tones of the palette.” Sage against olive against forest. In life, friends are like this, right up next to each other, in contrast and bound in their shared medium. The abstraction of paint, that it may represent both the thing and the light, both the evanescent and the enduring, that would be a comfort, if we could go and look at it today.